Top 20 best Selfie apps for Android 2019. As we all know selfies are usually trending on social media, and we just love to click our perfect closeup and share it on social media. However, default camera app on our Android doesn’t provide many features to edit our perfect closeup photos. Today almost every smartphone user is crazy about taking selfies. As every smartphone user love to click selfies of their own and share it on various social media platforms like Facebook, Instagram, and WhatsApp, etc. There are lots of apps that are available on Play Store that help you to enhance your selfie quality and also to improve your shooting skills. So today we are here with best Selfie apps for Android. With the help of these awesome apps, you can get a new level of selfie capturing skill and experience. Just read out the below to check out these apps. The apps are excellent, and with these, you can click great selfies that you can share with your friends and have great fun. 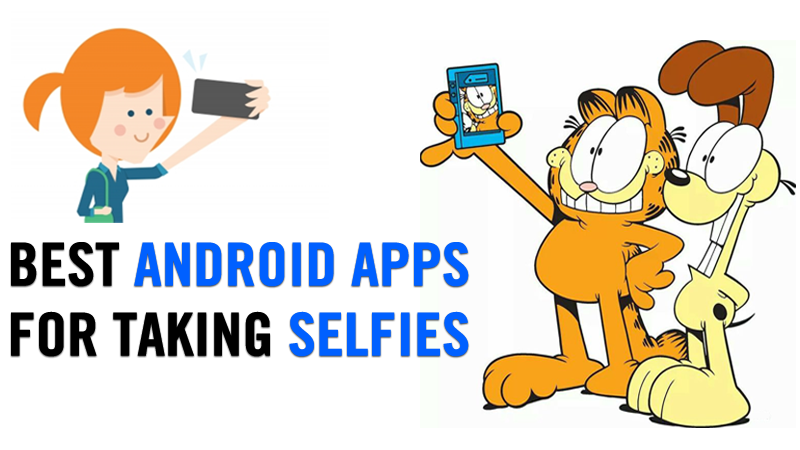 So proceed with these Best Selfie Apps For Android below. This is one of the best apps that we recommend to take the selfie on your Android device. This app enhances the beauty instantly while taking the selfie by giving the natural effect to the pictures that you capture through it. Additionally, this app has very positive user rating, reviews, and download rates. Must try out this app on your Android device. This is one of the Best Selfie Apps For Android. This app is just 27 MB and gives you the exceptional selfie clicking experience on your Android device, and it helps you to take out the high-resolution selfie on your mobile. Photo Filter – Easily create an official and stunning photo. Perfect Photo Editor for Instagram, Facebook, and Twitter. No Crop Photo for Social Media – You can post the full-sized photo on Instagram, Facebook, and Twitter without cropping. Photo Collage – photo editor that helps you collage multiple photos with various frame patterns and photo grids and layout. Add Text to Photos – Write texts to your picture using different fonts. You can resize, color, and apply some cool text effects to them. This is one of the most popular apps having lots of users that are currently using this app. This app provides great features like stable shoot, beauty enhances, great filters and lots more that you will come to know after installing this app on your Android device. This is one of my favorite apps that you will surely like, and this app has very positive user ratings on Google Play Store. Also, more than 100 million photos are taken in one day with Retrica with different trendy logos. As the name indicates, this app is a perfect one to take selfies on your Android device. This app will edit pictures in a perfect way and make it representable to other. You will surely like this app so must use it. More than 20 makeup and beauty tools so you can customize your personal style – shadows, liners, lipsticks, and more! Unlimited custom color options with the Pro Color Palette – design your own look with unique color combos. Instantly choose from 6 beautification levels – from natural to glamorous. B612 is perfect for taking selfies anytime, anywhere. Designed as the ultimate selfie app, B612 is loaded with fun and fresh features that you won’t be able to find anywhere else. It is one of the favorite camera apps that you must try on your Android smartphone. Selfie videos: Show the world how awesome you are with a 3 or 6-second video clip complete with sound. Just tap and hold the screen to start recording. Sweet Selfie is the new name in the photo editor, and it has some impressive features that can take beauty selfies with filters in seconds. It also offers Emoji and stickers that are specially designed for the selfie. So if you are looking for a camera app that had all in one function, then this must be your best choice. It is specially designed as a camera app for editing selfies. They offer you exactly 125 Real-time filters. You can also create a real-time collage too with the help of this app. This is a must try app if you love to click selfies on your phone. Easily Share Picture for Instagram Facebook, VK, LINE, KAKAO, Wechat, and More. With Candy Camera’s beautifying filters and silent mode, you can take beautiful selfies anywhere and anytime. It has the diverse range of filters, designed specifically for selfies. You can also create collage through with this app. Snap a quick photo with your inner camera. Use the Live filter and Beauty feature to show the world the real you. Go Picasso on your pictures with options that let you pick the color and brush size. LINE Camera comes complete with a timer, flash, mirror mode, level, grid, and all the other features you need to take the perfect picture. Facetune provides easy-to-use, powerful tools (previously reserved only for the pros) to retouch and perfect every photo or selfie, making each one look like it came straight out of a high-fashion magazine. Aviary is a powerful photo editor which we created because we wanted a quick and easy way to edit our photos on the go with no fuss. This includes all the tools you need to edit your photos. This is one of the best editor available on the Google Play Store. It has some awesome editing tools and filter technology. The app is frequently updated. This is the must have the app on your Android device. Microsoft Selfie is a selfie and photo-enhancement application available on Android, iOS, and web. Backed by computer vision technology, Microsoft Selfie intelligently consider age, gender, skin tone, lighting and many other variables – all with one click. Automatically adjusts lighting and many other variables. SelfieCity helps to create movie quality photos with filters inspired by Inception, Once Upon a Time in America, and Roman Holiday, etc. Users will get innovative movie theme filters creating by professional artists. Various trending effects tailored for selfies – you will never run out of options! The bright camera is an ultimate photo editor for Android. The selfie is not boring anymore. You can enjoy with beauty-makeup camera pro. You will look beautiful with great ease. You can Selfie Bright pictures with camera HD. You can make a pretty cute for pictures with makeup perfect tools. Many photo Filters such as filter pastel, lomo filter..etc. variety to choose like change. And you can add stickers and frames to your picture. Save images to SD card. Is a small file Do not waste space, Mobile phone. If you love to use filters while clicking selfie, then Noah camera will be the most suitable option for you. You will get your filtered selfie, your customized camera and you can directly share it to social media. Well, Snapchat is not actually a selfie app, however, it’s nothing less than that. Actually, the trend to put filters, stickers in the selfies started with Snapchat. From the Stickers and animations to the filters and front-facing flash, Snapchat has it all. Snapchat has stickers, filters, front facing flash which will enhance your selfie quality. This is one of the most trusted and loved app amongst all Android users. Just like Snapchat, Instagram offers some similar benefits. Well, Instagram is one of the best social networking platforms where users love to share photos and videos. However, it houses some features and tools that make for the perfect selfie camera. You can add filters, stickers, tags, and overlays on your clicked images. Share multiple photos and videos (as many as you want!) to your story. Bring them to life with text and drawing tools. Frontback is one of the best camera and selfie app which let you capture multiple sides of the same story at once. Combine your front and back cameras, show more details in the second picture, make before/after shots, or make cool artistic posts. PIP Camera sets your photo in another photo frame with some creative frames. Basically, this app allows users to edit their selfies. You can utilize various frames, filters and many other things using Pip camera. More than 20+ photo filters for decorating your photos/pictures. PIP Camera sets your photo in another photo frame with some creative frames. Easily share the photo on Instagram, Twitter, and Facebook to wow your friends and share this wonderful photo editor app. This is one of the best tools you can have if you love to click selfies. Sweet Snap is a great edit tool. You can enjoy numerous filters, stickers with the help of Sweet Snap. Moreover, this app also houses some powerful editing tool. So above is all about Best Selfie Applications For Android 2019. With the help of these apps, you can easily capture exceptional selfies and share them with your friends through the vast social networks that you wish. Also, you will learn lots of picture editing skills your Android device through these apps. Hope you like the article, don’t forget to share it with your friends and leave a comment below if you know more cool apps like this.